NEW ORLEANS – Ochsner Baptist – A Campus of Ochsner Medical Center – is pleased to celebrate the accreditation and opening of the Mothers’ Milk Bank of Louisiana at Ochsner Baptist. 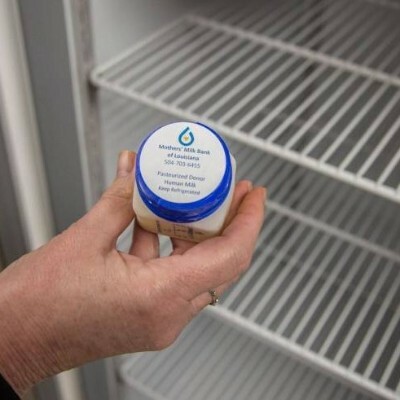 Mothers’ Milk Bank of Louisiana received accreditation by the Human Milk Banking Association of North America (HMBANA) in early March making Louisiana the 22nd state in the United States to open a HMBANA approved human milk bank. The Milk Bank accepts donated human milk following a detailed screening process of a lactating woman. The milk is then given to infants who are born prematurely and are unfortunately unable to receive enough milk from their birth mother due to maternal conditions. To read more, see original post.